Research active Agricultural Engineering lecturer at Harper Adams University. Experienced in mechanical design and testing of agricultural machinery. Interest in all mechanised aspects of crop production with key areas being: Tillage, Crop Protection and Cereal Harvesting. Research interest in the development of Precision Farming techniques, future crop protection techniques, integration of tractor & implement management (TIM), application of novel technology to solve agricultural problems and field scale automation in the Hands Free Hectare project. 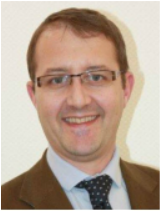 Jonathan Gill is a qualified robotic engineer with 13 years of experience specialising in mechatronic systems. Jonathan diversified into remotely operated vehicle operation for over six years with the sole purpose of completing tasks remotely by mechatronic actuation honing skills of subsea technology teleoperation and supervising the ROV team in the harsh offshore environment. The past five years he has been focusing on the operation, design, and programming of aerial drone systems, and their associated control systems and role within agriculture. The most recent three years he has been working in the role of agricultural mechatronic engineer on three successful Innovate UK backed collaborative projects as part of the research team at HAU's National Centre for Precision Farming. Hands Free Hectare has been the most recent project and boldest attempted fusing automation, agronomy and agriculture together operating drones and drone technology to achieve a world’s first. He has been recently accepted for a 2018 Nuffield Scholarship to continue asking the question ‘How do we embrace automation in agriculture?’ and intend to travel across the world to see technologies that have been used and help prepare for the Automation revolution. Clive is the precision agriculture specialist for Precision Decisions Ltd. Clive has been involved with precision agriculture for over 16 years. He pioneered and championed the technology on his family farm before becoming CEO of Precision Decisions Ltd, a consultancy company working with the world s largest agri-engineering companies and farmers across the world including Africa. Martin joined Precision Decisions after graduating from Harper Adams University with a master’s degree in agricultural engineering. Originally employed specifically for the hands free hectare as a mechatronics researcher, Martin continues to work for Precision Decisions on a range of precision farming and technology related projects. Interested in all aspects of agriculture’s future and an advocate of automation as a method to improve precision farming and soil health. Previous research has included the effects of tillage and traffic systems upon soil and an automated crop spraying system. When away from work martin is typically found on the family farm, maintaining a hands-on link with agriculture.